Whether you are interested in disco swimming, swim laps for exercise or relaxing and enjoying the spacious indoor pool, De Heerenduinen has it all. De Heerenduinen is a popular neighbourhood retreat in the Velsen and IJmuiden region and a pioneer in the implementation of new ideas and innovations. 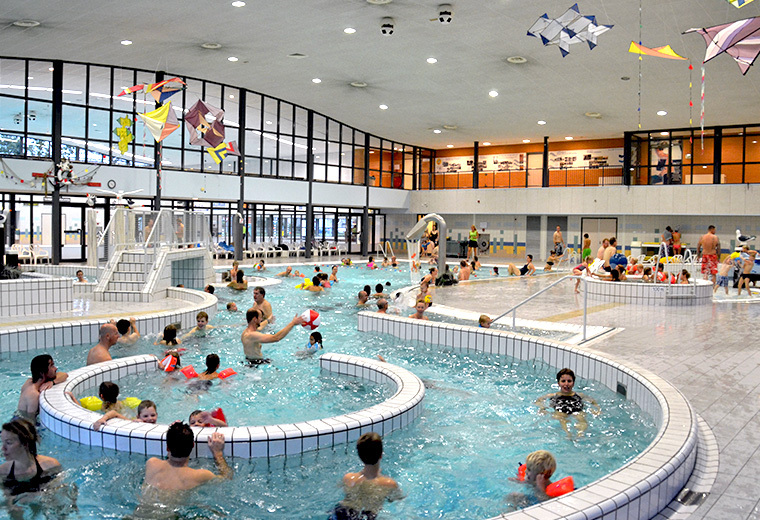 After carrying out a detailed analysis, De Heerenduinen was one of the first swimming pools in the Netherlands to decide to install the Climotion system. The 25-metre competition pool, recreational pool and warm multipurpose pool were switched to the Climotion system in three phases. Climotion has now been in operation since 2013 and complaints about stifling air, fogged-up windows and shivering swimmers poolside are now a thing of the past. The complaints and high degree of absenteeism of staff have disappeared and the facility is now a pleasant place to swim and work. Although not the primary goal of the project, considerable energy savings have also been achieved since the installation and start-up of the Climotion system, making it possible to recoup the entire investment in only a few years. Enthusiastic about the results, the Municipality of IJmuiden has now also installed the Climotion system at the sports centre and new De Ring primary school.